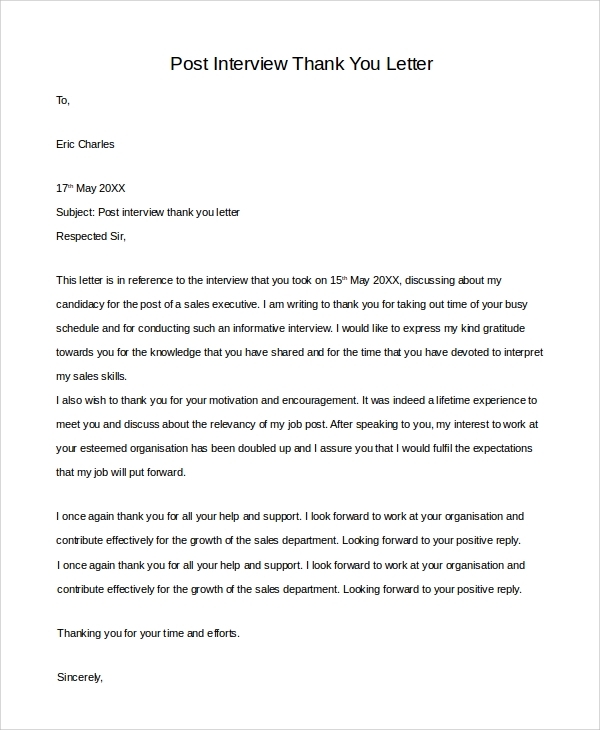 Although a ‘Thank You letter’ is ignored by a large section of employees, it is one of the greatest weapons of sealing a job opportunity in style. You can write Thank You Letters After an Interview to the recruiter to power up your chances of getting selected. 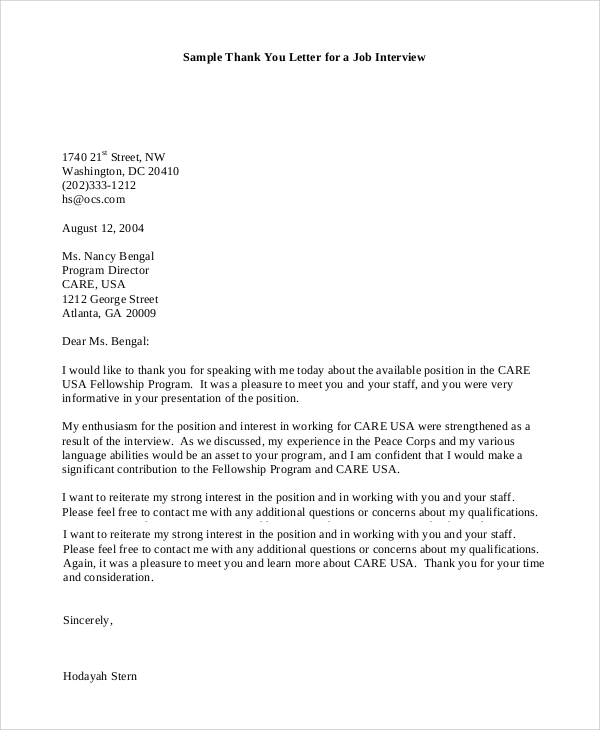 These letters convey the willingness from the employee to work for the benefit of the company. The skills and relevance of the candidate are highlighted here. Here are some Sample Letters that you may find interesting and relevant. 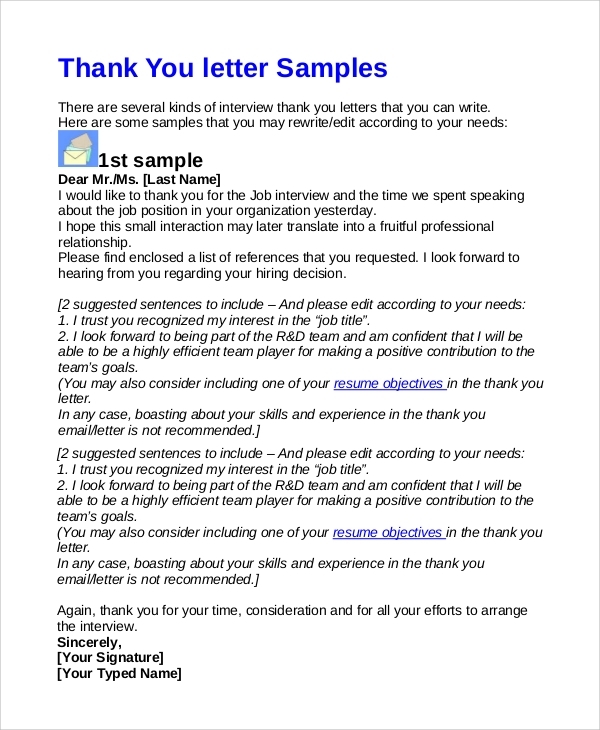 This letter conveys the thanks from the candidate to the recruiter after the interview. The candidate explains his/her experience during the meeting and then writes about his/her professional abilities. It ends on a promising note to work together. The introductory paragraph of the letter is short and identifies the relevance of the letter. The second and third paragraphs of the letter convey the willingness to work with the organization, highlighting the skills and abilities. You can also see Thank You Letter Examples. 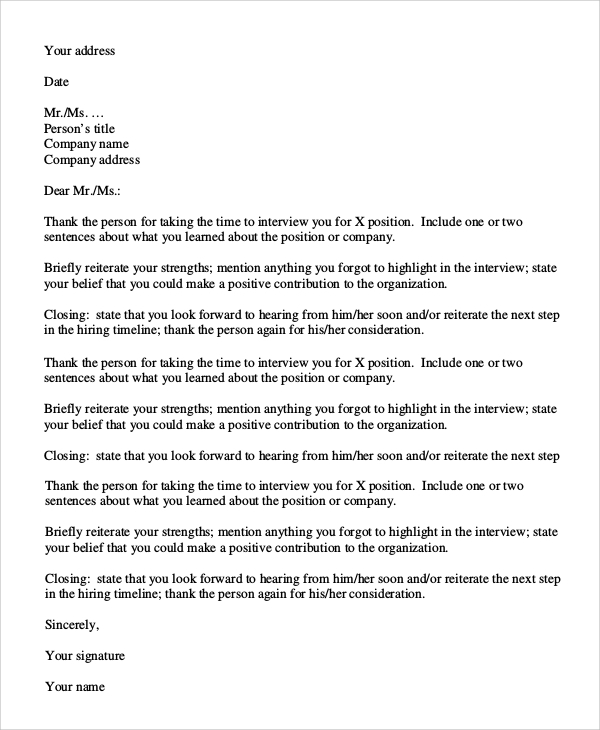 This letter is well-formatted, with a single, descriptive body, stating how the candidate is relevant to the organization. 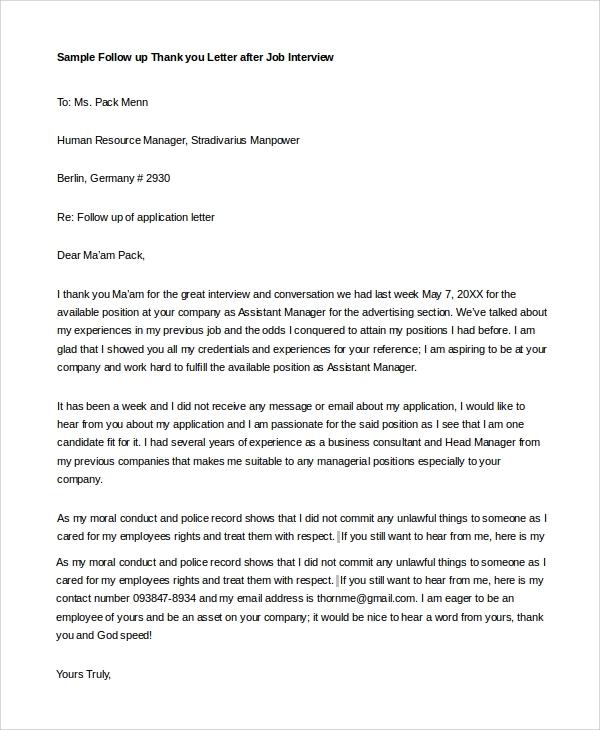 There is a short introductory paragraph, and the letter brews up the relevance of the candidate with the organization. Why Should you Write these Letters? An interview is the first official meeting between the recruiter and the employee. When you write a Sample Thank You Letters, you cement the bond that has just been initiated. You need to write these letters within a couple of days of the interview. It helps you to keep in touch with the employer and increases your influence over him, especially when there is a lot of competition in the industry. In these letters, you can explain how you benefitted the previous employer and why you joined the new company. All these will create a positive impression in the mind of the employer about your professional profile. After a telephonic interview, the employee can write a letter to a recruiter after a couple of days and speak to him about his relevance to the job. 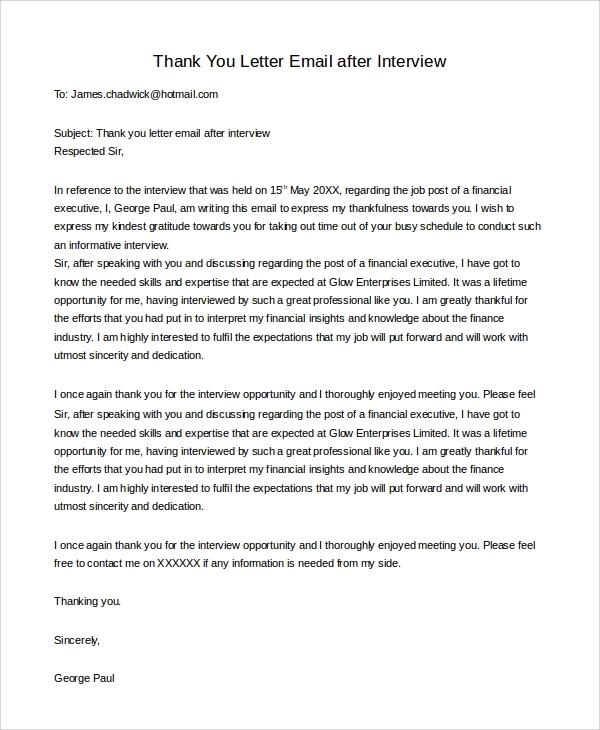 The letter begins with a note of thanks and explains how the professional can assist the company to get across to its goals. 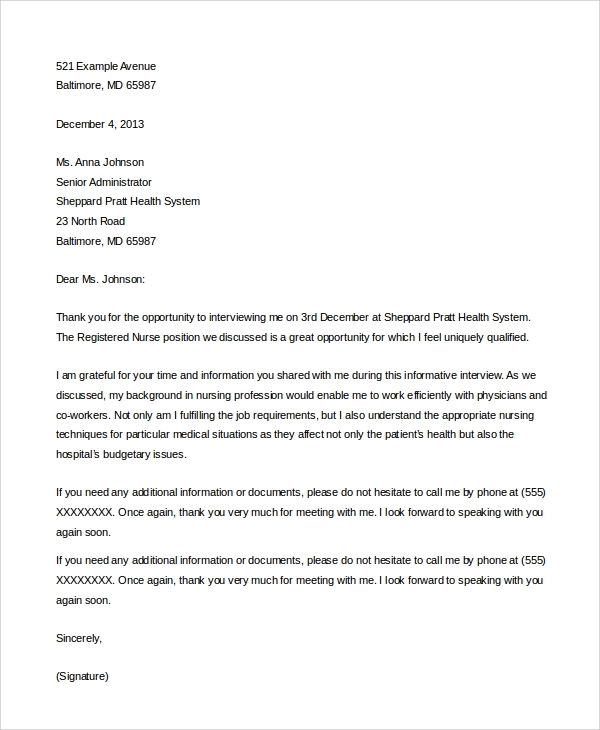 Since nursing jobs require specialization and training, these letters focus on the skills possessed by the individual. The contact information is given in the third paragraph so that the employer can directly call up the candidate if required. What should you write in these Letters? First of all, you need to start the letter with a note of thanks, for the appointment at the interview. You can add a few lines stating your impression about the meeting. Then you need to move on to your professional hallmarks. This is a diplomatic way of selling your resume. Even if you are confident enough that you will find a berth in the company, you need to write these Thank You Letters After Interview to build a good rapport with the employer. Next, you can pick up an aspect where the company is facing difficulty. You need to site instances from your past professional life and state that you will be able to help the company in coping up with those issues. If you appear for interviews, make sure that you write the letters of thanks to your employer. You will find different templates in the website for formatting the letter. You may also need other templates like Thank You Letters for Appreciation or Thank You Letter For Donations. Go through the Thank You Letter Examples in the portals and download whatever you require.